We Are Not There Yet And Not Better Off Talk Is Cheap; Walk The Walk! I am pleased to provide an independent response to President George Manneh Weah’s second annual State of the Nation address (SONA). This response check-mates and calls the President to action on behalf of millions of Liberians who are voiceless and continue to linger in poverty amid wanton socioeconomic exclusion in a tightening economy, an out-of-control currency depreciation, and massive unemployment. 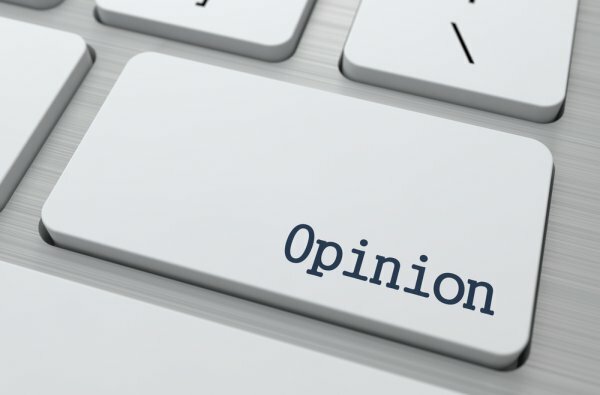 Unlike last year’s State of the Nation response in which I provided a line by line response to the annual address, this year’s independent response looks at some of the good things the President has done, the bad and ugly policies and behaviors that continue to hold us back as a nation. It can be recalled that when Ambassador George Manneh Weah was elected back in December of 2017 and upon his subsequent inauguration in January of 2018, Weah’s “Hope for Change” message elated many across Liberia. Many Liberians saw his ascendency to the presidency as a total breakaway from more than a century of control by the “True Whig Party” and entrenched political elites who have dominated the country since independence. The plebeians (as the CDC refers to its grassroots supporters who are mostly poor and unemployed) and sympathizers celebrated President’s Weah victory and hoped that socioeconomic conditions will improve for them and their families. That has not been the case. The CDC’s party “tycoons” and “holdovers” from previous regimes, who have mastered the art of sycophancy, however continue to enjoy tremendous opportunities in government. The President has worked exceedingly well with the National Legislature in passing several key acts and laws including “the Land Rights Act of 2018”, “the Local Government Act of 2018” among others. The Land Rights Act is of particular importance due its mitigating nature of the tensions that have arisen over the last several decades over land disputes. The Local Government Act will bring about much needed decentralization and reform to local governance across the country. Although some have accused the president of being in the bed with the Speaker of the House, Hon. Bhofal Chambers and with the President Pro Tempore, Hon. Chea, a smooth working relationship between the three, equal, but separate branches of the Liberian Government is good for the country. It signals the maturity of our body politics and for the consolidation of peace. I also applaud the president for reiterating his commitment to ensuring free speech in a nascent democratic space. 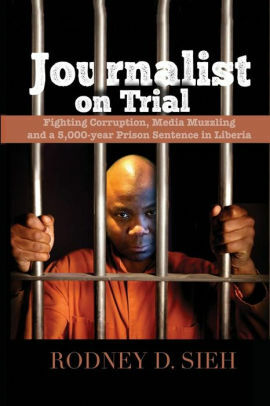 Journalism is not a crime and Liberia cannot return to the dark ages. The President’s effort to reform the Education sector is a step in the right direction. The revision and updating of teaching curricula for kindergarten through High School with an emphasis on “skills delivery,” creating early “career pathways” for students, and putting emphasis on literacy and numeracy is welcoming. The President must now go a step further and provide a roadmap on sustaining these education reforms across the country. And finally, the president’s recognition of Liberia’s greatest asset – the youth – was gratifying. His description of the youth of Liberia as “the largest component of our population that hold[s] the ultimate key for the development and prosperity of Liberia” shows that President Weah is being challenged by the massive unemployment faced by youths across the country. The youth, as the president noted, pose the greatest “threats to national security” if opportunities for employment and mobility are not created soon enough. However, no one should vilify the youth for wanting opportunities or continue to only use them as pawns during elections. In his address, President Weah provided no concrete plan of action beyond the current small scale youth development initiatives. Liberia’s 4.9 million population (July 2018 est.) is mostly young: 44% is between 0 – 14 years old and another 19.9% are 15-24 year olds. How does the President intend to ensure a comprehensive youth development and job creation strategy for more than 50% of the nation’s population? The clock is ticking! Mr. President, I urge you to adopt a plan to create the “National Agriculture Corps of Liberia” with a goal to massively produce Liberia’s stable food (rice) and other cash crops. The NAC will also serve as a training and employment service model for Liberia’s youth, who have the highest employment rate in the sub-region. Weah’s SONA speech failed to address parents’ anxiety and worries regarding students’ exams fees for WAC and for the free tuition pronouncement made by the President for undergraduate students attending public colleges and universities. Today many students across public colleges and universities are being forced to miss a semester because government has not been able to pay tuition. Without a sustainable plan on paying fees for students sitting the WAEC Exams and a national law that mandates budgetary allocation towards tuition, President Weah’s statement will only become another empty promise. The President’s statement that “we will not rest until we build roads to the remotest part of Liberia” and to ensure an equitable distribution of the nation’s wealth came across as just another false promise, like promises made by successive regimes in Liberia, with no commitment to making such promises a reality. The president’s failure to further elaborate on any meaningful policy prescription or a roadmap on how he intends to achieve these national goals remains a conundrum. The President’s words at times do not match his actions. For example, he has undertaken massive personal construction projects (mansions and estates) within the last 12 months across Monrovia, while the average mother selling down Waterside cannot afford to send her daughter to school. The president has a moral duty to serve the people; not to focus on personal wealth accumulation. After more than a year in office, President Weah must now own the economy and stop passing the blame to his predecessor. Given the poor performance and the level of corruption by the former President, Ellen Johnson Sirleaf and clique, the president has himself to blame for his failure to hold the Madam accountable. The President’s SONA failed to offer any sense of direction on how he intends to mend or revitalize a struggling economy or assuage the tensions that have been rising in the Capital, Monrovia. The lack of leadership on the part of President Weah has the propensity to create more hardship and uncertainly across the country. Mr. President, we will hold you to your words. Please release the forensic audit report. The people demand accountability for anyone who is proven to have been involved in the missing USD $100+ million dollars. Anything less will be an affront to the will of the people. The Coalition for Democratic Change (CDC)-led Government under President Weah has much work to do to deliver on its four pillars of “Power to the People” which remains an illusion, “Economy and Jobs” pillar which requires massive investment in training and capacity building has been dismal, “Sustaining the Peace” pillar is yet to live up to its expectations, and the “Governance and Transparency” pillar leaves much to be desired after the CDC first year in power. Poverty is pervasive; disease is prevalent; mothers, children, and fathers are going hungry daily, while the youth of Liberia are without jobs or opportunities for mobility. Despite the $25m (or $17m US) dollars infusion into the economy to stabilize the local currency, the economic outlook remains grim. The people are yet to begin to feel the real economic gains of the CDC Pro-Poor Agenda for Prosperity and Development. In contrast, the country is only “far off better” for President Weah, his Political appointees, and elected officials of the National Legislature, who benefit more than 60% of the national budget for their salaries and other emoluments. Majority of Liberians remain poor and are barely getting by. The ongoing exclusion of the majority poor in sharing in the national pie has the propensity to create internal tensions and lead to further conflict if urgent action is not exerted to arrest the situation. Mr. President, we are not there yet. Talk is cheap. We need you to “Walk the Walk” and deliver on the CDC-led government promise to lift more than a million Liberians out of poverty. Tamba D. Aghaila is a community activist and Founder of The Voice of Liberia. He has dedicated his life to advocacy for refugees and disenfranchised citizens of Africa. He has written extensively on his country recent history and has dedicated his life to public service.